We hear bountiful praise for Cityproof’s custom interior window systems, which provide soundproofing, energy conservation and protection against drafts and dust, as well as thermal insulation. Cityproof has been operating since 1960, and there are plenty of clients who have enjoyed their Cityproof windows for twenty years without a single problem. 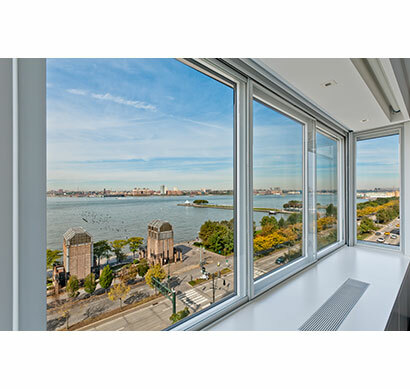 Rather than replacing or modifying existing windows, Cityproof customizes interior windows to fit inside the original exterior window, preserving its original appearance and minimizing complications with landmark regulations. We’re told that the firm’s technicians are extremely professional, neat and polite, earning praise from building managers for their quick, no-fuss, no-damage installations. Cityproof has been featured in New York and The New York Times, and is used by the Peninsula and Regency Hotels, as well as several hospitals. I have recommended them. And they were recommended to me by another owner in my building. Excellent company. Very professional. They arrived on time, gave me an estimate quickly, had the work done when promised. The installers were extremely professional and neat. They promised significant noise reduction, and I got it. I would recommend them to anyone who wishes to have a quiet apartment. I would and have recommended CityProof Windows to friends. My experience with them has been exemplary from start from finish. I would not go with anyone else. We had five sound-proof inner windows installed. Windows are all large and differently sized. I called several companies to gather information and was impressed by Cityproof's experience, professionalism and responsiveness. I decided to go with them and definitely made the right choice because everyone I dealt with was polite, professional and competent. The windows were installed according to plan and schedule, the contractors left no mess (imagine that!) and were pleasant and patient with my many questions, and the cost estimate was absolutely accurate--no surprises. I especially appreciated the hands-on approach taken by the owner of the company, Mr. Michael Damelin. He clearly cares about his company and product. We have enjoyed our Cityproof windows for two years now without a problem. I have continued to be in touch with Cityproof on occasion because of my interest in some of their other products. They remain responsive, polite and informative, there is never any pressure to buy, and they remember who I am (after one job), so they have my every vote for excellence and quality, both in terms of service and value.